Exclusive! Give your favourite control freak a little chuckle, or keep it for yourself and show everyone that you're comfortable in your bossiness. 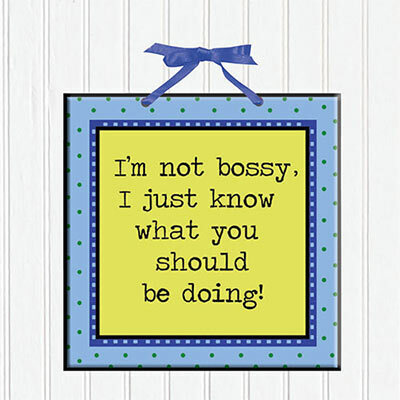 Our "I'm Not Bossy! Plaque" makes a fun conversation starter. Ceramic; comes with a polyester hanging ribbon. Imported. 6" sq. Hurry! Quantities are limited!